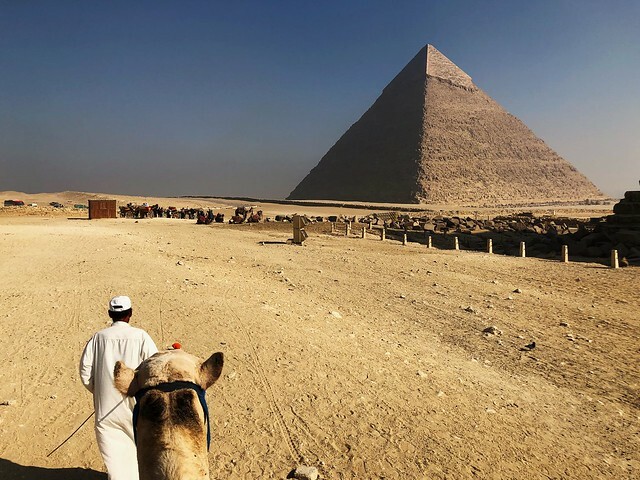 My second time in Egypt and I made sure that I can visit the Great Pyramid of Giza. 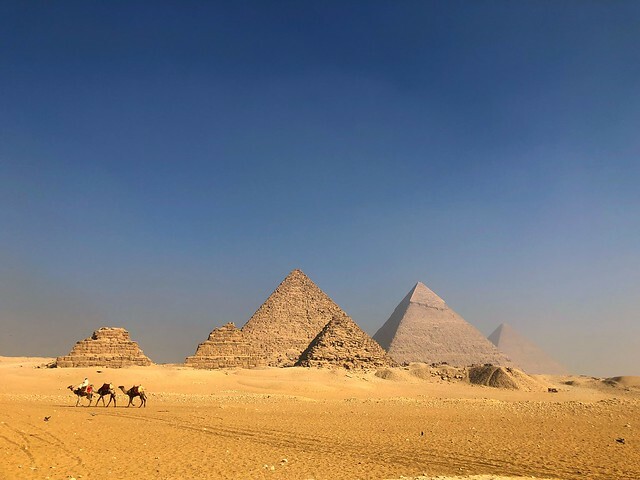 My schedule for the week was a bit hectic but I was able to manage a few hours - early morning visit - to the pyramids. I booked the tour via the hotel concierge. 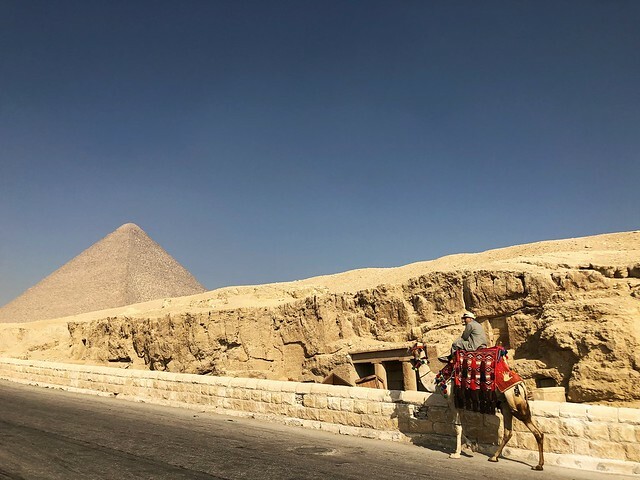 It was an hour trip from the hotel to Giza. And as soon as I saw the glimpse of these ancient wonders, I immediately forgot the horrible, or terrible, traffic along the way. We had to pay for the tickets to enter and then off we go. Everything was in a rush. As I have a business meeting in an hour or two. 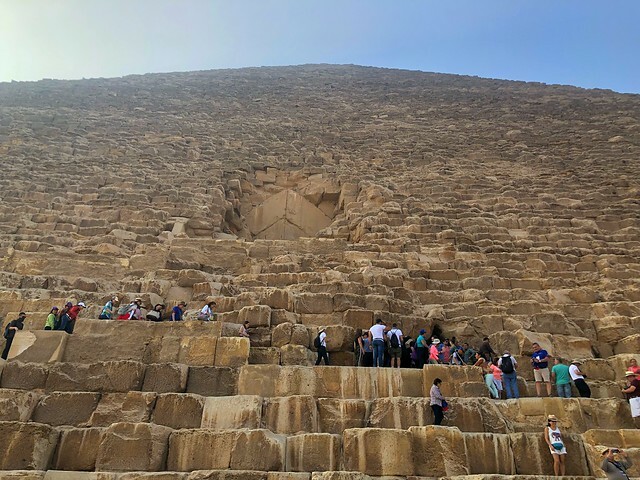 A closer look at the structures, it made me wonder how the Egyptians were able to build the pyramids without the help of modern or sophisticated machinery. I kept on checking the time. 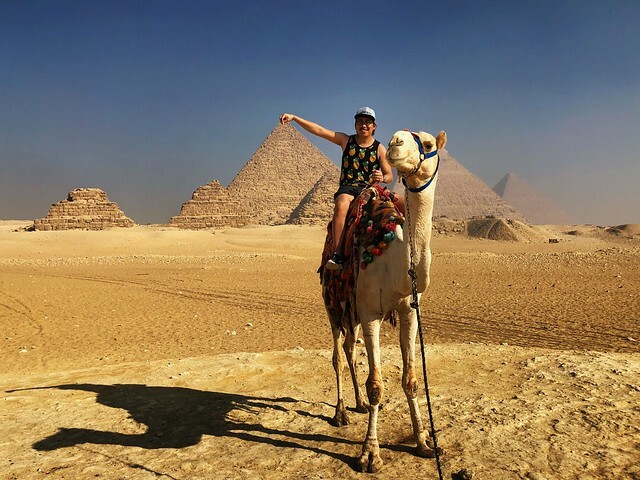 The tour guide convinced me to try to camel ride, and I said yes without hesitation. I just told him that it should be a quick one. 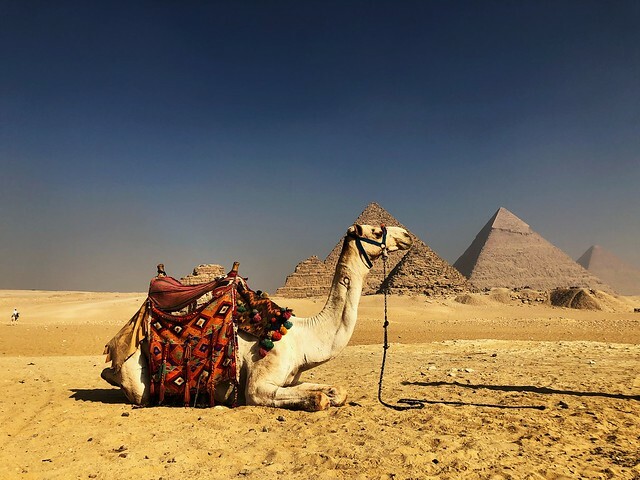 We stopped in the middle of the desert to get a full view of the pyramids. Funny but the camel was a great model. 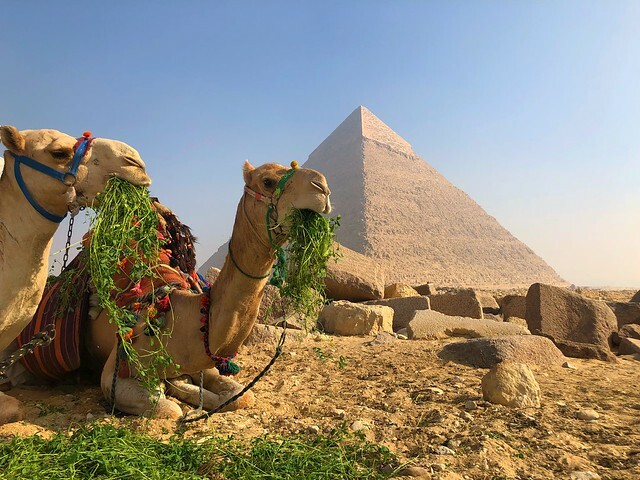 The camels deserve a good meal for a job-well done. As much as I wanted to stay and listen more to the history, I decided that it was time to go back to the hotel and be ready for the next meeting. 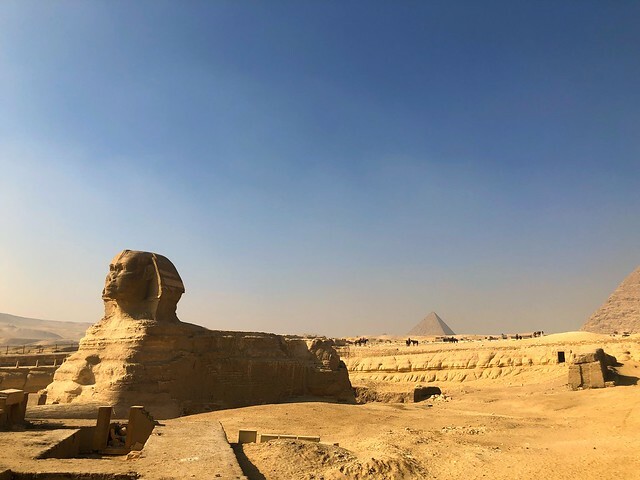 Our last stop was the Great Sphinx of Giza. 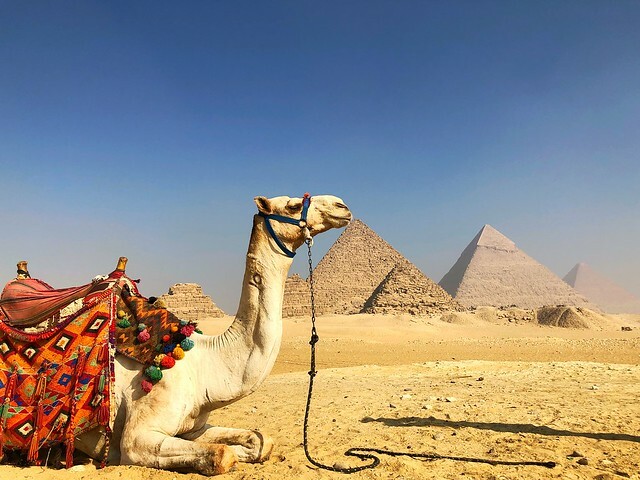 Hopefully next time, I can enjoy the attractions in Egypt as a tourist.